I was sent this image in an email forward. 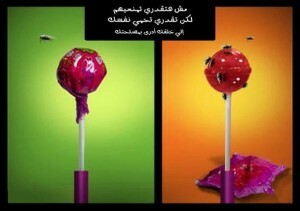 The text says: "You can't stop them, but you can protect yourself." Two obvious (and rhetorical) questions: Can we really not stop harassment? And does veiling really "protect" you?